The café is located in the Taubman Museum of Art. Its doors opened with the official opening of the visual arts center in November 2008. It welcomes customers to its convenient location on the museum's accessible, attractive first floor. Norah's Café is named in honor of English beauty Norah Royds Gribble (1859-1923), whose portrait was painted in 1888, by John Singer Sargent (January 12, 1856–April 14, 1925), the American expatriate painter renowned for his depictions of Edwardian era (1901-1910) luxury. The painting was acquired by the previous incarnation of the Taubman Museum of Art, the Art Museum of Western Virginia, in 2001 through funds provided by the Horace G. Fralin Charitable Trust. Creating a spectacular impression, measuring over 9 feet (110 inches or 279.4 centimeters) in height, the portrait of Mrs. George Gribble is considered by Taubman officials as an overlooked treasure from the early years of Sargent's artistry. Come for the coffee and stay for the art, or, come for the art and stay for the coffee. Serving hours in the café coincide with regular operating times for the museum. This generally means a Tuesday through Saturday schedule. But the café also tends to be open the first Sunday of the month, albeit for a shorter stretch of time than usual. Specifically, the café typically accommodates late morning to late afternoon eaters. Doors open at 11 a.m. Tuesday through Saturday. Additionally, the café welcomes First Sunday Brunch visitors an hour later, at noon, on the first Sunday of the month. 3 p.m. on first Sundays. What particularly draws customers to repeated visits of Norah's Café are the atmosphere and the menu. In terms of the environment, the café gives a comfortable but dignified, spacious impression. It has ceiling-to-floor windows and light-colored fixtures and furnishings. It looks onto a terrace which functions as an outdoor seating area during Roanoke's generally agreeable weather. But whether indoors or outdoors, seating provides diners with views of Roanoke's historic architecture and Mill Mountain vista. The view inevitably will inspire diners to amble through the Market Square neighborhood in which the café and museum are located. Every angle gives a different perspective of the Taubman Museum of Art. The Taubman Museum of Art adds distinct, unforgettable, unmistakable flair to the spatial and temporal skyline of Roanoke, Virginia. The building can be considered as much a footprint of the city's future as a monument of modernity. Perhaps less obviously so it nevertheless constitutes a concurrent portal to the past. His M.A. degree being from Rice University. Randall's implemented design of the Taubman Museum accounts for 75,000 square feet total space. Total construction costs amount to $66 million. That averages to $880 per square foot. More than one-quarter of the total building costs are covered by a $15+ million contribution from Roanoke residents Nicholas and Eugenia Taubman. The Taubman donation is honored in the museum's name. It reflects Nick's enduring belief in, and Jenny's long-standing committed actions to, the visual arts in Virginia. Studio classes and workshops with visiting artists through the Museum School. Additionally, there is the skills-building environment of the Gentry Locke Rakes & Moore Resource Lounge to advance and guide educational, personal and professional interests in collecting, curating and researching art. 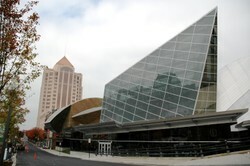 Also, the Advance Auto Parts Auditorium, City of Roanoke Atrium, and Taubman Theater serve as venues for performing and visual arts-related events. Folk, nineteenth and twentieth-century, regional, southeast contemporary, and visionary art of the United States of America. Fabergé jewlery of pre-revolutionary nineteenth and twentieth-century imperial Russia. Glass-enclosed Market Square Pedestrian Bridge spans massive tracks of Norfolk Southern Railway to connect historic Hotel Roanoke (1882) with event-filled downtown hot spots such as Taubman, Historic Roanoke City Market (1922) and Market Square. Nicholas Frank Taubman (born March 18, 1935) is a native of Roanoke, Virginia. He is the son of Arthur Taubman (July 15, 1901 - March 15, 1994) and Grace Ann Weber Taubman (September 18, 1906 - August 27, 2002). But his higher education predominantly links with Pennsylvania. Nick attended the Mercersburg Academy in Mercersburg, Pennsylvania. He graduated from the private college preparatory boarding school in 1953. He then started undergraduate studies at the University of Pennsylvania, which culminated in his Bachelor of Science degree in economics from the University's highly competitive, prestigious Wharton School of Finance and Commerce. Upon completing his undergraduate studies in Philadelphia, Nick became a military man. His nevertheless brief military career involved service in the U.S. Army. His tenure ran from 1957 to 1958 and from 1960 to 1961. After his military service, Nick advanced concurrent careers in business and politics. In 1969, Nick became President and Chief Executive Officer of the Advance Auto Parts store chain which his father founded in 1932. He remained in the position for 36 years, until 2005. Roanoke City Council member, 1976-1978. He served as U.S. Ambassador to Romania from December 2, 2005 to December 3, 2008. At the end of Nick's exemplary ambassadorship, President Traian Băsescu (born November 4th, 1951) awarded him with the highest civilian honor, the Star of Romania. Eugenia Lev Taubman (born December 2, 1939) is Nick's wife. Jenny is a native of Sofia, Bulgaria. She left her homeland to settle in Israel in 1953. She served in the Israeli Military from 1959 until 1961. Western Virginia Foundation for the Arts and Sciences. She is on the Capital Campaign Committee of the Taubman Museum of Art. Big Lick can be considered the original name for Roanoke, Virginia. Its permanent settlement by Europeans is dated to 1852. It was named after the area's wildlife-friendly salty outcroppings. Big Lick received its charter in 1874. But in 1882, the settlement underwent a name change to Roanoke. In 1884, it was transformed from the town, to the independent city, of Roanoke. The name Roanoke evokes cultural associations and history's unanswered questions. Specifically, the name honors the Native American tribe of the Roanoke (or Roanoc) of Roanoke Island and coastal North Carolina. The Roanoke numbered among the southernmost speakers in the Algonquian subfamily of North America's pre-European languages. They most likely totaled 5,000 to 10,000 people at the time of the journey to London and back by their last known Chief, Wanchese, in 1584. Chief Wanchese was responsible for the English learning the Algonquian language through his interactions with the explorer, Sir Walter Raleigh (ca. 1554 - October 29, 1618), and the polyglot Thomas Harriot (ca. 1560 - July 2, 1621). But Chief Wanchese's tribe did not survive European settlement patterns. The Roanoke's pre- European existence nevertheless is memorialized through many names both within and beyond their known settlement areas. One such tribute to the Roanoke will be found in southwestern Virginia's largest and most important city. Constructed in 1949, Roanoke landmark is world's largest freestanding illuminated manmade star. Roanoke indeed can be described as a big city, but one that is made up of distinct, diverse neighborhoods. For example, movement through Roanoke is referenced in terms of different city sectors. Specifically, downtown Roanokers may speak of the historic Elmwood Park, Gainsboro and Market Square neighborhoods. Sidewalk seating options for diners. Built by Norfolk and Western Railway (now part of Norfolk Southern) in 1882 in downtown Roanoke's historic Gainsboro neighborhood, Hotel Roanoke was added to National Register of Historic Places in 1996. Saint Andrew's Catholic Church and National/State Landmark. Wells Fargo Tower (background); Taubman Museum of Art (foreground); on 1st floor Norah's Café nestles invitingly in right corner of Taubman's sparkling glassy façade. 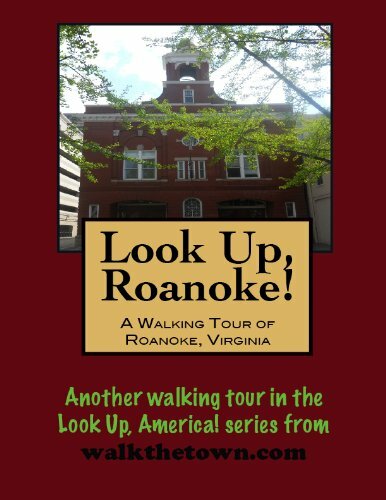 As befits its legacy as a railroad town, we'll start our walking tour hard by the historic tracks and begin by looking across to a relic that dates back to the very earliest days of train travel in Roanoke. 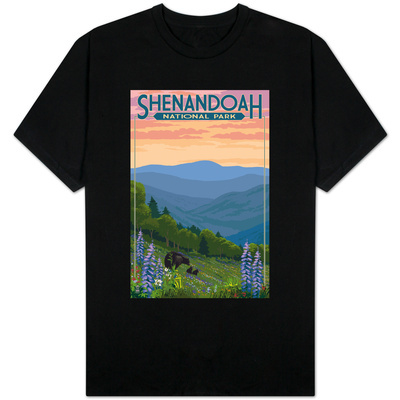 Southwestern boundaries of Shenandoah National Park are sited near Waynesboro, about 95 miles (152.8 km) north of Roanoke, Virginia. JohnnyKnox, Even more impressive than a photo is actually being there. I was fortunate enough to attend the building's opening, and I regularly visit the Café and the exhibitions. It's a case of something that is as beautiful inside as it is outside! Roanoke is indeed blessed in benefiting from the expertise and philanthropy of Nick and Jenny Taubman. Thank you for visiting and commenting. A building with an impressive architecture. Having a coffee at Norah's will certainly be a nice experience. The Henry S. Reuss Ice Age Visitor Center has exhibits on Wisconsin's Ice Age Parks and Trail. It is the Kettle Moraine State Forest Northern Unit headquarters.